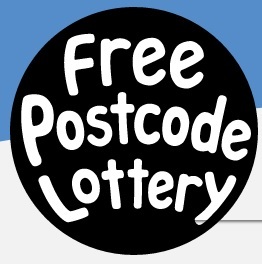 The Free Postcode Lottery is the biggest free lottery site and therefore has the biggest prizes. There are five draws a day and chances to win anything from £5 to a rolling jackpot which has got up to £1000. This is because if a claim is not made, that amount rolls over to the next day and adds on to that days jackpot. This site is hugely popular which means that the odds are winning are lower, but it is still worth having a go as it only takes a minute or less a day to check to see if you have won. If you get referrals you can build up extra credits as you can if you do tasks on the site too. Thsi means that when you do win your credits will be added to your prize fund.